Happy New Year! 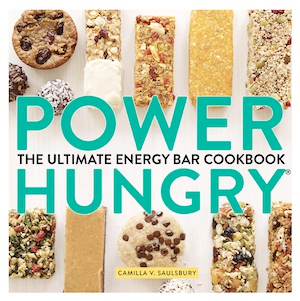 If you follow me on Instagram, you may recall I went a little Homemade Energy Bar crazy this past fall as I dove into my friend Camilla Saulsbury’s new book, Power Hungry: The Ultimate Energy Bar Cookbook (she also writes the Power Hungry blog). 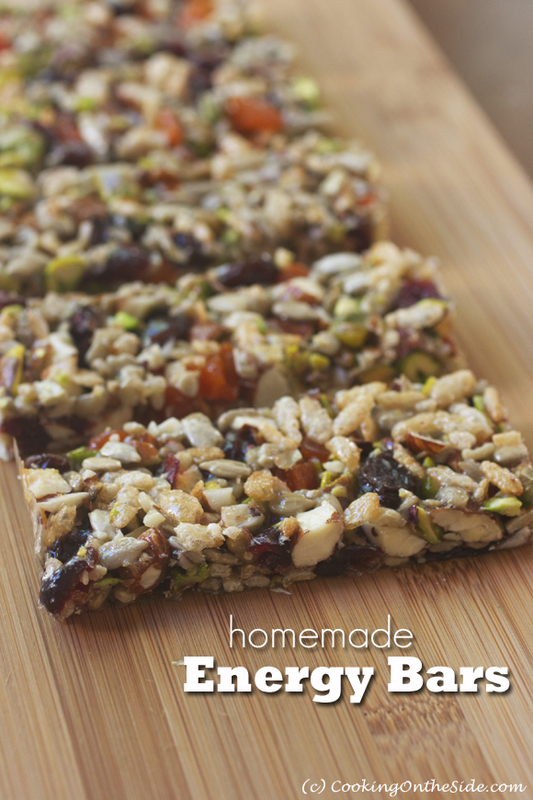 The bars in this cookbook are not only healthy and nutrient-rich, but they’re also beautiful (which, honestly, isn’t a word I ever thought I’d ascribe to an energy bar!). But they really are little all-natural works of art. I’m far from an endurance athlete (very, very far) but I do try to get to the gym semi-regularly. More importantly, I have two active kids who need to bring healthy snacks with them to school. The granola bars in Power Hungry have made perfect portable snacks. 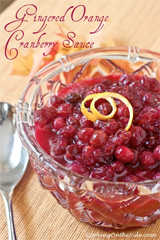 The recipes are also easy enough for my kids to even help making them — it’s mostly a matter of measuring and mixing. They’ve enjoyed choosing the different nuts, seeds and dried fruits to include — many of the bars are highly customizable, and Camilla offers a slew of variation options. The bars you see above are called Moonbeam Bars in the book, created to be similar to the Luna bars you can buy in a store. With that little dip of white chocolate glaze on the end, these were practically a treat (they made it easier for me to cut back on cookies :-)). There’s a whole section of “Super-Natural Knock-Offs” so you can make your own homemade versions of popular store-bought bars. The Pumpkin Pie Power Bars above come from the section of “Endurance Bars” recipes, which are designed for fueling up before a workout. These tasted great and, surprisingly enough, contain no fat! As with so many of the recipes in this book, this one came with five more variations, including this mini chocolate chip option. 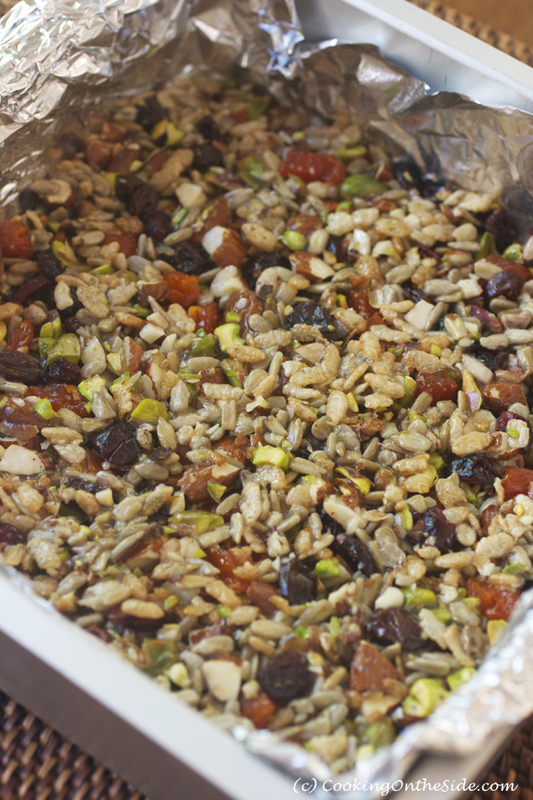 Stir together the nuts or seeds, cereal and dried fruit in a large bowl. Add the syrup and salt (if using) to the nut mixture and stir until evenly coated. Transfer the mixture to the prepared pan. Place a large piece of parchment paper, wax paper, or plastic wrap (coated with nonstick cooking spray) atop the bar mixture and use it to spread, flatten, and very firmly compact the mixture evenly in the pan. Discard the paper or plastic. Bake in the preheated oven for 17 to 20 minutes or until slightly browned at the edges, but still somewhat soft at the center. Let cool 20 minutes in pan on a wire rack. Using the liner, lift the mixture from the pan and transfer to a cutting board. Cut into 10 bars. Cool completely. To store: Tightly wrap the bars individually in plastic wrap. 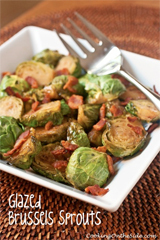 Keep them at room temperature for up to 3 days, in the refrigerator for up to 3 weeks or freeze in an airtight container for up to 3 months (thaw 1 hour before serving). * Don’t substitute agave nectar, honey or maple syrup — it won’t work! I’ve been looking for a recipe like this! I would love to have a few of these around as afternoon snacks. My favorite are the Pumpkin Pie Power Bars, although I do love the colors in the Friend Bar. Great photo! 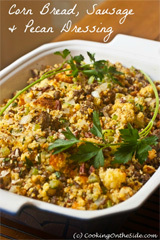 I Love the flexibility of this recipe, makes it easier for those of us with food allergies, plus it looks delish! Sounds delicious! But what is crisp brown rice cereal? Do you have a brand name to suggest? Hi Jen – It’s basically brown Rice Krispies. 🙂 I used the Erewhon brand — you can probably find them in your regular grocery store, otherwise try Trader Joe’s or Whole Foods (I used the Erewhon brand). I am always looking for healthy snacks for the kids! Thanks for sharing! These are outstanding! Simple to make and great to take to work in the morning. They don’t fall apart or break your teeth. 😉 thanks! The energy bars tasted great, but had alot of corn syrup left in bottom of the pan. Is the recipe right …. you only added 1/2 c brown rice cereal? Is it supposed to be more like 1 1/2 c? Correction: she does say light corn syrup should work. I know I used brown rice syrup and it worked great, so maybe the issue is with the syrup somehow?